Which would be your brand of the year? Amazon, who have had a great year with the continued success of Amazon Echo and other new Alexa-supporting devices. Or there's Apple, with its revamp of Mac hardware, continued innovation with it's OSes, AirPod and HomePod. Google has had a top 12 months with the launch of Pixel and Pixel XL as well as the epic Chromecast Ultra and Google Home while Huawei continues to impress with new gear like the Mate 9, P10 Plus and Matebook X.
LG released our favourite phone of MWC 2017 with the G6 , which saw a return to form, while Nintendo released the acclaimed Switch and hot-off-the-press new 2DS XL. Finally, Samsung may have had its challenges this year, but it popped up with this year's best phones so far: the S8 and S8 Plus. Samsung picked up Brand of the Year in addition to two other awards last year: Wearable Technology of the Year for its Gear S2 smartwatch and Phone of the Year for the Galaxy S7 Edge. 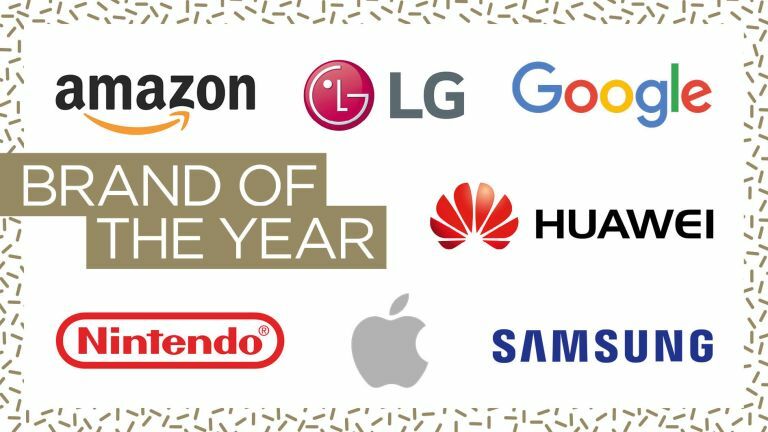 However, on the following key categories readers get to vote: Gadget Of The Year, Brand Of The Year, Retailer Of The Year and Phone of the Year. T3 Awards 2017 Will OnePlus, Honor, Huawei, Motorola, Samsung or WileyFox take the crown?